B-25 flying over some very cold Alaskan water. B-25 flying over some very cold Alaskan land. PBYs at flooded Adak air base 1942. PBY-5A Catalina aircraft operating from Runway E at Andrews Lagoon on Adak Island in the Aleutians. Consolidated PBY “Catalina” aircraft comes in for landing near seaplane tender in Attu Harbor in Aleutians. Consolidated PBY “Catalina” aircraft anchored near seaplane tender in Attu Harbor in Aleutians Photographed by Lieutenant Horace Bristol, July 1943. PBY “Catalina” aircraft returns from patrol flight to harbor at Attu in Aleutian where its mother ship is anchored. Photographed by Lieutenant Horace Bristol, July 1943. A parachute flare burns and smokes after being released from an F4F Wildcat recovering on board carrier Nassau (ACV 16) during the invasion of Attu. 10 April 1942. A few reminders still around. One wonders if there are still any viable projects up there? Another simply amazing series of photos! Wide open & turning left. Yes, there are! There are several airplanes, but you have to know where to look. 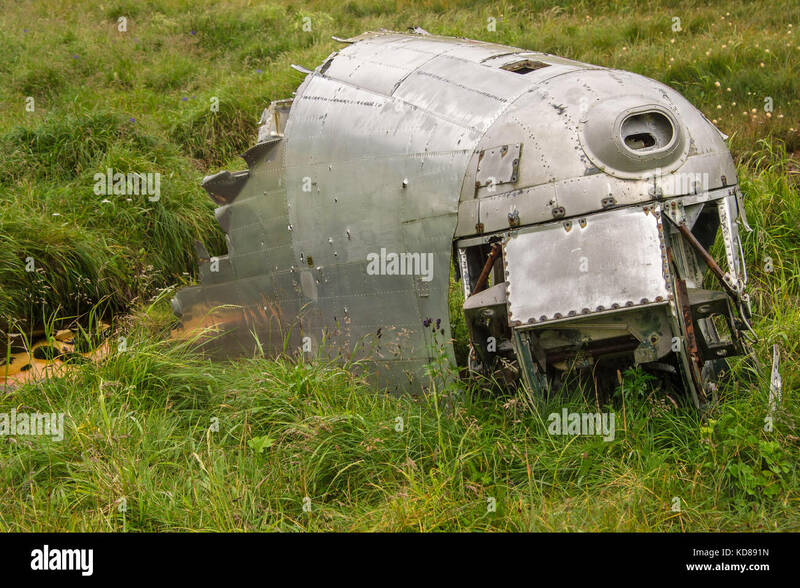 One of my friends who lives up there knows of several aircraft which could be a solid basis for an airworthy restoration. There are some pretty rare and exotic things that are salvageable and restorable, but like any recovery project, they require a lot of money. I know of one particular aircraft up there of which not a single example is flying. It is located in a freshwater lake and my friend has seen it with his own eyes. Don't even bother asking me either here or through PM what it is or where it's at, since I am sworn to secrecy. He is currently gathering funding/sponsors to go get it. When it is recovered, it will be major news. One of the problems inherent with all of the Alaskan aircraft up there is that many of them are located on either U.S. government or DOD owned land and are therefore inaccessible. There are ways to get it done, but sometimes is not easy. Got to tell you again, Mark--because I've told you before--your photo spreads are just world-class and my favorite feature here on WIX. You rock. Please keep 'em coming. My mind is just blown with all these GREAT photos! 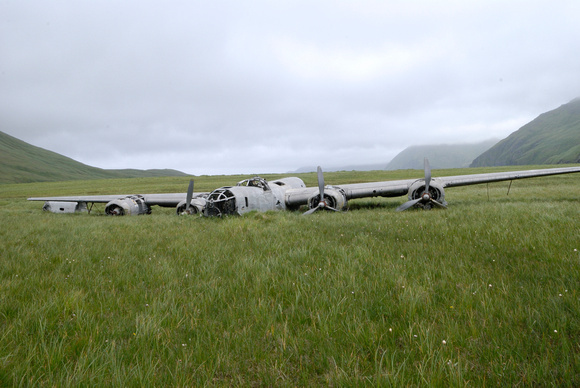 The B-24D, 40-2367 on Atka is believed to be the oldest known surviving combat WWII heavy bomber that actually dropped bombs, next to the B-17D, Swoose at the NMUSAF. All the reason more that it should be in a museum. Great series of photos! A lot of regular folks don't even realize the war in the Pacific stretched into Alaska. Too bad I got in to P-3 Orions too late in my career...there was a permanent Det in Adak and Kodiak up through the 90s. I would have love to operate out of there. In the Third series of pics, is that Harpoon (No. 74), flying with underside wing panels removed?? Not sure why they would, but it sure looks like it. No, those are the aerodynamic "slots" in the wing. It appears that a darker colored rectangle has been painted behind the slots (don't know why). The light colored "strips" that seem to project forward are actually the sunlight lighting the inboard sides of the slots.